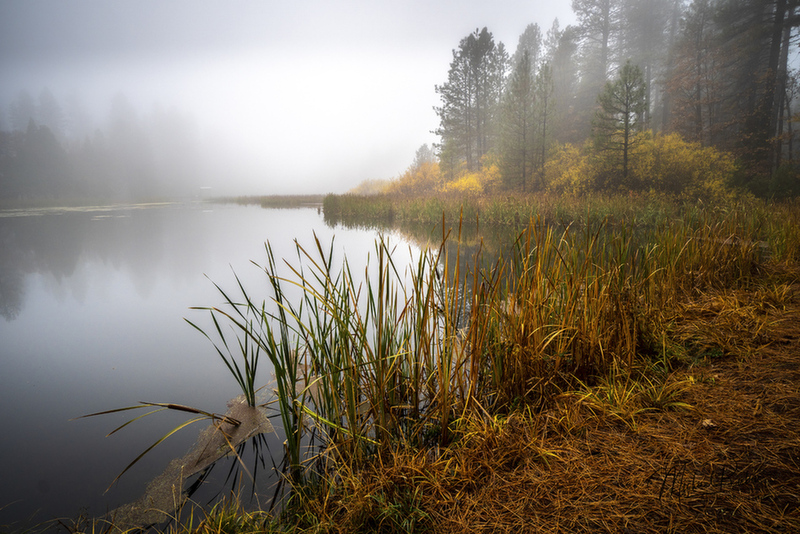 Reeds and Pines in Fog, Grace Lake. I love this one. It has a very peaceful look to it. Well done. Nice foggy scene - looks like it might be a bit out of level.